In another month or so, spring training venues will be opening and another swath of out-of-state visitors will be coming to our state. With additional tourists comes the prospect of pedestrian accidents. Whether you are a tourist or a Florida resident, there are a number of safety tips you should be aware of. 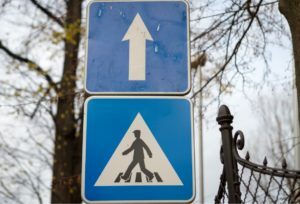 Pay attention to where you are going – It may seem obvious that you should be looking where you are walking (or driving) but distractions are a primary reason why accidents occur. So paying attention to what you are doing is essential to avoiding pedestrian accidents. Limit use of social media – In the same vein of limiting distractions, staying off social media is helpful. We have highlighted the dangers of texting while driving in prior posts; and the same applies to those who may be texting while walking. Cross at crosswalks – It may be tempting to cross the street outside of the crosswalk in order to quickly get to a destination, but this could be dangerous given how busy some streets may be. Also, the legal protections an injured pedestrian may have could be limited when crossing outside of a crosswalk. Watch what you drink – When pedestrians and drivers are inebriated, they tend to take chances that they normally would not take. Simply put, drunk drivers and pedestrians are more likely to be in accidents.